Venice is inhabited by all manner of people inclined towards placing beauty into the world. In the world of fine jewelry, the city boasts a number of skilled independent fine jewelers whose pieces are handmade, truly luxurious and one of a kind. 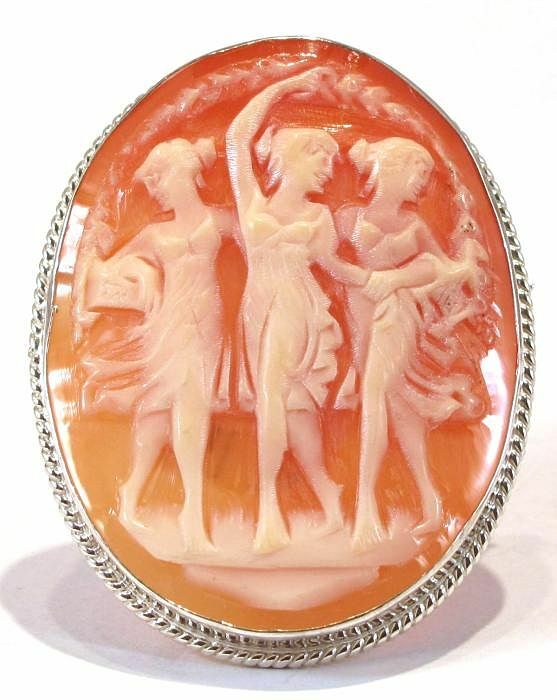 They include cameo craftsmen, goldsmiths and contemporary luxury jewelry designers. 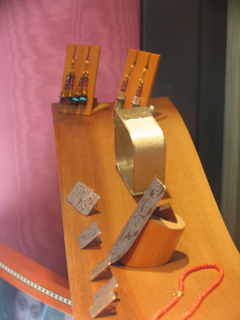 These fine jewelry stores sell handmade precious jewels all of which are designed in Venice. Palwer Jewels, San Marco on Salizada San Samuele near Campo Santo Stefano. 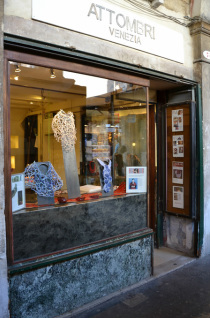 Attombri in two locations: 74 San Polo, Rialto & 1179 San Marco, on Frezzeria. Eredi Jovon, 5325 San Marco, On The Rialto Bridge. Laberintho, 2236 San Polo, On Calle Scaleter. Laberintho is a gem hidden in the labyrinth of Venice' streets. In this small shop, goldsmiths and jewelry designers create modern and romantic jewelry using high quality materials and whimsical themes. 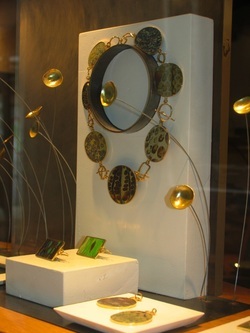 They are unique among Venetian jewelers in their sense of form and style, creating beautiful yet edgy pieces. The jewelers at Laberintho will also make pieces to order using settings and stones that you would like to remodel. Botega Orafa, 1839 Santa Croce, On Calle del Tentor. Jewelry designer and goldsmith Andrea D'Agostino creates beautiful modern jewelry out of precious metals and stones using traditional Italian metallurgy techniques. An authority on metallurgy, Mr. D'Agostino has also taught his technique in Italian universities and is a contributing author to many texts on the subject. The pieces available at Bottega Orafa when I last visited had been made using an ancient technique of layering precious metals that was originally developed by Italian sword-smiths. Piero Mejorin, 4504 Castello, Near Campo Santi Fillipo e Giocomo. 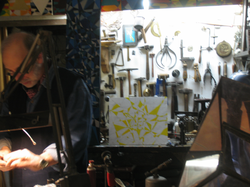 Piero Mejorin is a metalurgist, jeweler, sculptor and painter who sells his original pieces out of this small shop near Campo Santi Filippo e Giocomo. The jewelry, sculptures and paintings have a modern cubist flare with very original and off-beat designs. His pieces are high quality and sure to inspire both compliments and conversations.